Giving Back | AnchorFIT Clothing Co.
AnchorFIT is passionate about giving back to our community, both local and abroad. A portion of every sale goes towards helping the causes we have chosen to support. Our team feels that the least we can do to help someone in need to pursue their dream, help through the foundations below, or giving someone shelter for the night that is without a home is an absolute must. Buy with confidence and rest assured that every purchase is making a difference. Know that you can do more than just buy; you can buy with a purpose. We appreciate your support and I am sure they will too. Active Heroes is an IRS approved 501c3 Charity with the mission to support all U.S. military service members, veterans and their families through physical, educational, and emotional programs in an effort to eliminate suicide. Active Heroes’ vision is to eliminate military/veteran suicide. To find our more about this charity. 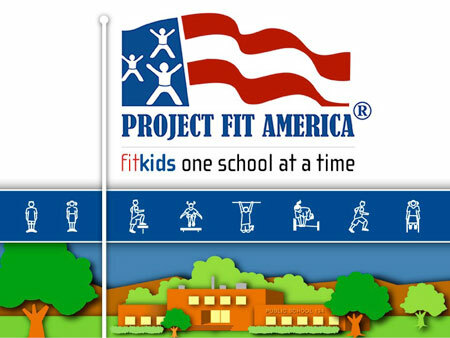 Project FIT America a national agency that works at the grassroots level with schools and front line educators to create new opportunities for kids to be active, fit and healthy. We believe in fit kids, one school at a time. We work with communities to bring in funding, equipment, teacher training, curriculum and the resources schools need to get kids fit and foster a love of movement. When Project Fit America comes to a school, kids never want to miss PE and teachers report they see fantastic changes not just in their students' health, but in their attitude toward fitness and healthy life styles. We are an action based charity which means the funds we receive result in kids in motion. We have been doing this work for twenty years plus and have learned that it is true….if you build it, they will come!